A double valve replacement surgery was successfully undertaken at one of the best Safemedtrip affiliate hospitals in India recently. The patient came in with difficulty in breathing with slight activity, tiredness, palpitation and profuse sweating. 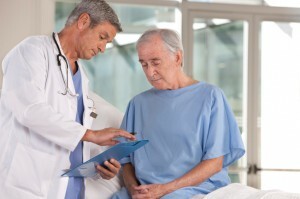 Detailed investigations of the patient showed that he suffered from mitral valve and aortic valve stenosis. In simple language it means that the valve between the left upper (atrium) and left lower chamber (ventricle) of the heart called mitral or bicuspid valve had got narrowed causing reduced blood flow. Along with this the valve between the left chamber (ventricle) and the major artery Aorta (aortic valve) had also got narrowed due to calcium deposits causing compromised blood supply (and so oxygen) to the body parts. This resulted in the above symptoms. Valves are unidirectional openings with flaps between chambers that allow the blood to flow in a single direction. 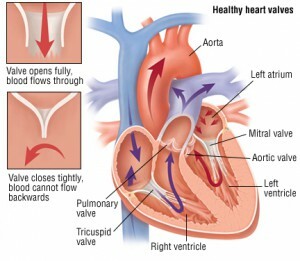 Malfunctioning of valves affects the blood flow causing heart failure in extreme cases. Usually the valves are replaced by artificial valves that come from cadaver donor or are made from animal tissue or non- reacting plastic material. For the first time a state of art metallic valve called Flexcuff Regent Valve had been used. It is not a very common procedure in hospitals in India and requires a lot of skill to replace both valves simultaneously. This new valve is better than the bio prosthetic valve in many ways. It has a bigger orifice that allows free flow of blood from atrium to ventricle and ventricle to the aorta which reduces the patient’s discomfort drastically. The postoperative complications are almost nil and the patient was discharged in a short time.